Choosing to become an IT contractor is a daunting decision to make, but it is one that could propel your career forward into an exciting future of more challenging work; having your own clients, higher pay and flexible work hours. 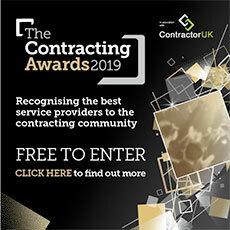 But there is a great deal to think about before taking the plunge from a regular pay cheque and into the world of contracting, writes Michael Hough, managing director of contractor accountants Quantic UK. Will you, for example. become an umbrella company contractor or will you truly ‘go it alone’ as a limited company (also referred to as a PSC - a Personal Service Company)? The most sensible way to start when it comes to setting up as a contractor is to do it gradually. Try to avoid just quitting your 9-to-5 and don’t expect to keep earning the same when working for yourself as an IT contractor straight away. The best route -- setting up your own business while you are still in full-time employment -- is one that lets you make considered decisions about your own future, and ensures that you still have enough to live on while your contracting operation gets off the ground. It will require a lot of hard work but, as they say, Rome wasn’t built in a day. Also keep in mind, start-up costs are often claimable. When you are a full-time employee, your tax obligations will be taken care of for you. But when you are an independent contractor, paying your taxes becomes your direct responsibility, and if you haven’t dealt with this before, it can be incredibly overwhelming. When first starting out as a contractor, one of the safest decisions you can make is to put your taxes in the hands of a reputable umbrella company. As you take on work on a fixed-term basis, an umbrella company will be able to take away the stress that comes with sorting out your own accounts and taxes. An umbrella company will issue invoices for your work to the recruitment agency and, once payment has been made, they will pay you through PAYE, thus dealing with all of your tax obligations for you. This is the same as when you worked your 9-to-5 permanent job, as that too was through the PAYE tax system. Other benefits of using an umbrella company include that they will be able to offset some parts of your income by claiming meals, travel and accommodation as expenses (although the government is looking at paring back the tax relief you’d get on travel and subsistence expenses). Though the bigger draw of an umbrella company, especially when first starting out on the road of contracting, is that it allows you to hand over the paperwork and forget about it all, in a manner of speaking. Outsourcing your administration leaves you free to prioritise the more important day-to-day operation of being a contractor. Plus, despite being the subject of a review in January, IR35 is still in force as a piece of tax legislation, and it baffles many contractors (newbies and veterans alike). Working with an umbrella company means you don’t have to worry about IR35 but, if you choose to, you can gradually familiarise yourself with it in preparation for when you truly go it alone as a PSC. It is, of course, safer to get to grips with IR35 while you’re under an umbrella rather than in a PSC, where you could be a rabbit in the taxman’s headlights. So using an umbrella company in the early stages of your contracting career will make the process of establishing a limited company much easier (and potentially safer) in the long run. Indeed, working through an umbrella company is a tried and tested route for individuals who wish to perform a ‘trial run’ of temporary assignments before majorly committing to working professionally as a contractor . When becoming a contractor, setting up your business as a limited company comes with a huge number of advantages and, thanks to efforts by the government, it is now incredibly easy to do. For those wishing to register as a limited company, you will need to know about the two different options that are available to you. The first is to become a limited company by shares, which is where the company will be owned by members, or shareholders. Each shareholder will be liable for the original share value they were allocated but did not buy. The second format of a limited company is for it to be limited by guarantee, which means that members who are not called shareholders will financially back the company through an agreed upon amount. This second route is less common in the contracting space. Regardless of which route you choose, there are numerous benefits to forming a limited company, such as, higher ‘take-home pay’ and the ability to claim more expenses (than if you were an umbrella). There’s also your limited liability status to protect you should things go wrong, and this will give your company more credibility. This extra credibility is always a bonus when wooing new clients, as some may prefer not to work with non-limited businesses. Indeed in our experience, clients like to engage a company that has its own unique name (which you as the contractor/director can come up with) and its own branding or identity. But if you’re not confident enough to handle your own tax affairs, you can outsource them to a professional accounting firm with expertise in dealing with contractors, leaving you free to focus on building your business. Of course, becoming a limited company means you’ll need to be up to speed on IR35, which is aimed at those who provide a service through an intermediary - in this case your limited company – but who the taxman deems shouldn’t be because they are, in effect, an employee of their client. The legislation has been criticised for being too ambiguous and this is likely an area in which you’ll benefit most from having the help of a specialist accountant (not a generalist) who is fully aware of the nuances of the law. Although the financial year will matter to everyone who is contracting, for those who have set up their business as a limited company, there will be certain dates that will need to be remembered. As you probably already know from your time in the workplace, the official financial year ends on April 5th. While it is not obligatory for your company’s financial year to be the same, it can certainly be useful. This is because as a limited company, you will be required to pay corporation tax precisely 9 months and 1 day after your own financial year ends. If, for the sake of simplicity, your company’s financial year runs alongside the official tax year, you will need to pay your corporation tax by 6th December each year. It’s obviously not feasible for every limited company to align its own financial year with the official tax year, but it certainly simplifies things. You need to weigh up the pros and cons of becoming a contractor through an umbrella company or your own limited company. Many contractors will choose the latter option, simply because of the protection the structure brings with it or the perceived tax advantages. The type of businesses/clients you will be dealing with will also be an important factor to consider. If you will be working, for example, with banking organisations where your work will include IT security that contains sensitive information, as being an IT contractor will do, setting up as a limited company will, arguably, give you more authority. Yet if you prefer to keep things simple, then working through an umbrella organisation will be the best option. This allows you to keep your contracting operation relatively uncomplicated; free from IR35 and wholly focussed on acquiring clients, delivering good results and making money. Whichever structure you chooses, you should keep in mind that your decision doesn’t have to be final. You can always opt to set up your own limited company once you’ve bedded yourself down into the temporary contracting lifestyle via an umbrella – or ‘brolly’ as they’re known. As with many things, with professional contracting you’ll find that taking small steps in the short-term is often a good way to establish yourself with a view to taking big strides later on. Contractors’ Questions: Can my ‘Ltd’ submit expenses I claimed as an employee? Contractors’ Questions: Umbrella or Ltd Co, which is best for expenses?